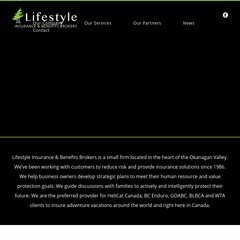 lifestylefinancial.ca About Lifestyle Financial Services - Brian Lutz, Wendy Lutz and ..
Dargal Interline Wroldwide Ulc (British Columbia, Kelowna) is the location of the Apache server. Its IP Number is 208.87.199.163. It has 2 DNS records, ns3.sproing.ca, & ns4.sproing.ca. PING (208.87.199.163) 56(84) bytes of data. A ping to the server is timed at 53.7 ms.